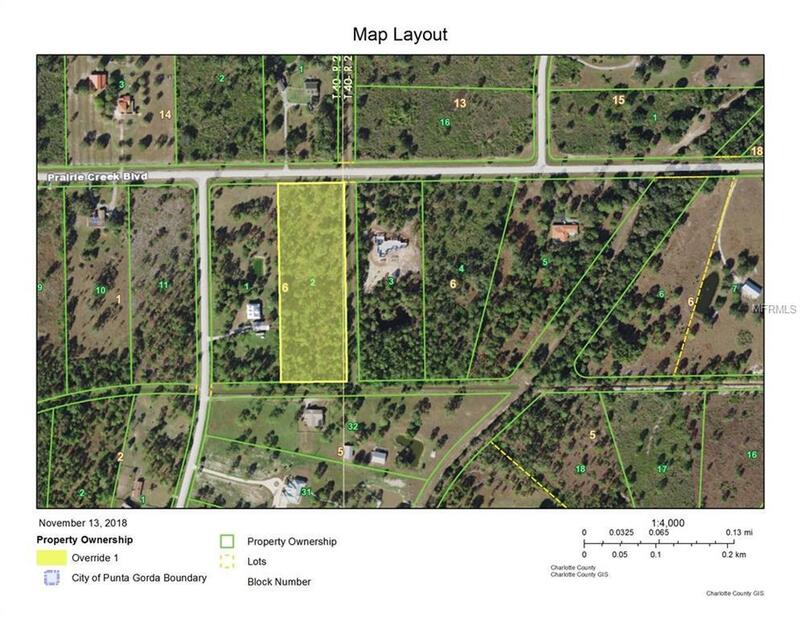 Full sized (rectangular) 5 acre parcel located in restricted, private Prairie Creek Park community, with a 50 foot buffer to the east of the property... Per County records, there is no scrub-jay mitigation required - with Buyer to verify (see Realtor Remarks). Prairie Creek is a deed restricted ranch community offering greenbelts with trails for horseback riding and having easy, quick (10 minutes) access to I-75, Historic Downtown Punta Gorda (15 minutes), along with shopping, restaurants, banking, Punta Gorda Airport, etc. This is a nature and horse lover's paradise! Adjoining property [3760 Hidden Valley Circle, a recently, a fully renovated 3BR, 2BA home, with large detached, multi vehicle garage and large pond, is also offered for sale under a separate contract, by the same Seller. See MLS C7408044 for additional information. Pet Restrictions Horses Allowed Per Deed Restrictions As Well As Domestic Pets. See Deed Restrictions As They Pertain To Any And All Pets/Animals.